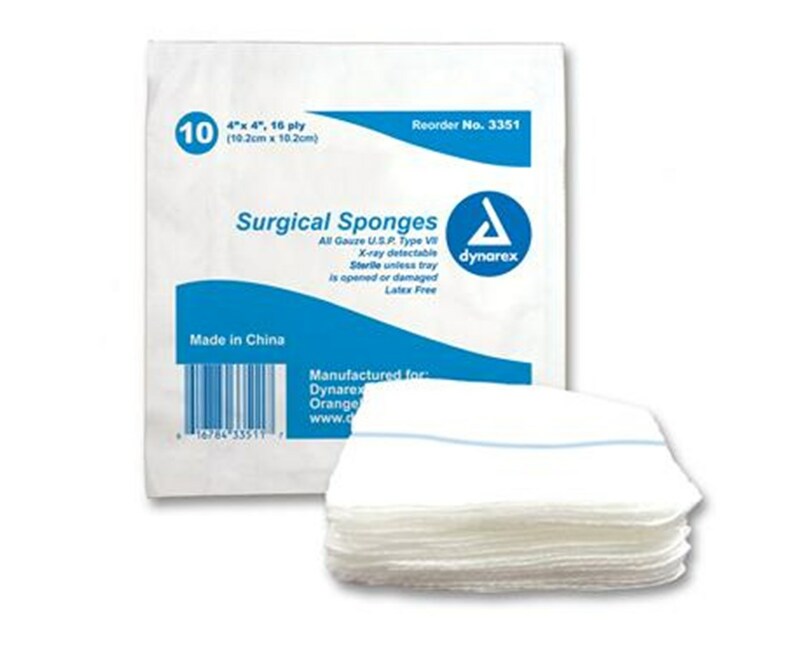 Dynarex Sterile Gauze Sponge (#3351) has a blue radiopaque stripe that is x-ray detectable making it a perfect choice for surgical procedures. 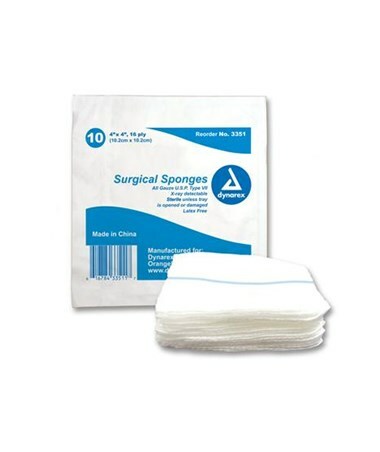 This sterile gauze sponge is a 100% cotton, highly absorbable, and lint free. Dynarex X-Ray Detectable Sterile Gauze Sponges are conveniently packed in trays of 10 making handling easier and more efficient.